Sketchy Thursday – I love sketches! They are my main way of jump-starting my pages. Don’t always follow them exactly, but a great way to get the creative juices flowing. Two Peas in a Bucket – there’s always something going on here! Between the Weekly challenge, the vendor challenges and the member challenges (found on the message board), there’s always something to get your mojo flowing. There are also free monthly classes to check out and plenty of inspiration in the gallery, too. Lily Bee blog – I’ve just recently started playing along with their challenges, but love them so far, especially the sketch challenges. Counterfeit Kit Challenge – this is a great challenge for using your stash. The challenge is to imitate an inspiration kit using stuff you already have in your stash. I love it because it’s really helping me rediscover some treasures and use them up to clear space for new ones. They also have some great tutorials and scrap challenges during the month. They also have a great list of current kit clubs if you’re looking for a new one to buy/subscribe to. 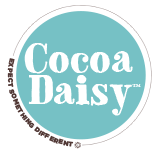 Online crops – my faves are on the CocoaDaisy website, but Two Peas and many other scrappy sites offer them regularly as well. I find the games, chatter and sense of community very inspiring as well as the actual challenges.